16.07.15	Who Wore It Better? Roland Mouret’s ‘Shotwick’ jumpsuit demonstrates just how flattering jumpsuits can be and what a perfect alternative a jumpsuit is to a LBD. Kate Hudson wore her while making a guest appearance on Jimmy Fallon. Jessica Simpson wore hers for the special preview of ‘The Gleason Project’ and Emma Willis wore hers to the 2015 BAFTA TV Awards. Emma Willis is the clear winner for me for elevating this chic piece further with her accessories and bold red lip. 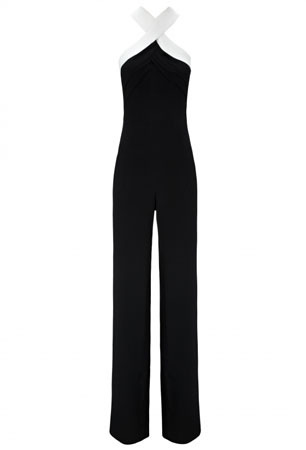 You can buy their Roland Mouret ‘Shotwick’ Jumpsuit from Roland Mouret. Posted by Catherine Kallon on July 16, 2015 In: Emma Willis, Jessica Simpson, Kate Hudson, Roland Mouret, Who Wore It Better?